When you are deciding where to donate your dollars or hours of volunteer time, especially if you are considering a volunteer trip far from home with an organization, you definitely need to know how effective that organization is at achieving their stated goals. If a nonprofit throws half their budget at advertising and office staff, then the amount of money you meant to go to the orphanage or animal program or disaster relief is just not making it to those in need. 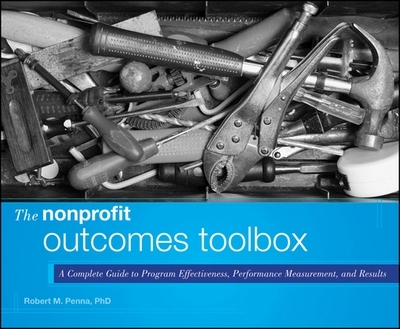 The Nonprofit Outcomes Toolbox (Wiley, 2001. By Robert M. Penna) is a dense compendium on how to measure success for charitable organizations, and if you are part of a 501(c)3 organization, or thinking of launching your own charity, it will be indispensable. How goals are set, how to measure their success, how communication about success changes everything, and actual analysis tools all guide us to see the clearest picture. Philanthropic and charitable instincts among all of us deserve to be fulfilled as best they can, so learning how to efficiently serve is everything.